The Sunseeker Malta team is pleased to have co-hosted a successful, luxury gentlemen’s experience together with Bulgari at the Portomaso Marina. 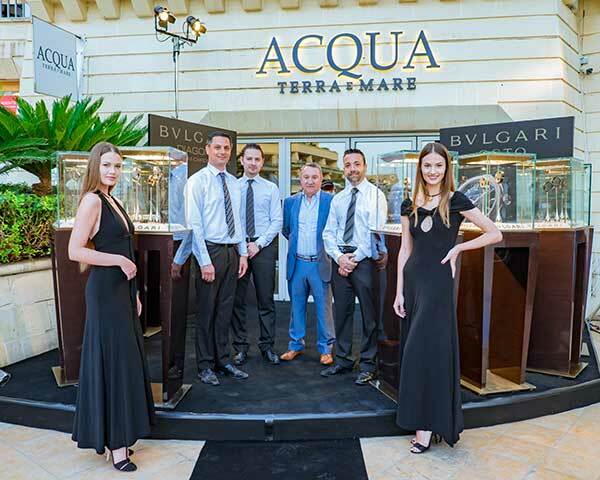 The event served as a platform during which Sunseeker Malta showcased the new Predator 57 whilst Bulgari launched the newly arrived Bulgari Octo and Bulgari Magnesium luxury watches. Guests were welcomed with champagne and canapes and were treated to wine and whiskey tasting as well as cigars. The very first award-winning Predator 57 in Malta was looking her best and guests were able to explore the boat freely. A representative from Bulgari gave a detailed and interesting presentation about the Bulgari watches with special focus on the Limited Editions Carillon Tourbillion, Tourbillon Saphir Ultranero, Octo Finissimo Skeleton, the World Record Octo Finissimo Tourbillion and the Giocatore Veneziano where guests could truly appreciate how Bulgari successfully blends in the Italian art of design with the Swiss science of watchmaking. Later on in the evening, guests were pampered with a five-course dinner which took place alongside the Portomaso Marina with views of the Predator 57. Sporty and sleek, the Predator 57 is stunningly crafted to perfectly balance style with practicality. An electric lowering door between the saloon area and the cockpit, allows the craft to adapt for different climates and create a seamless entertaining space with uninterrupted views. 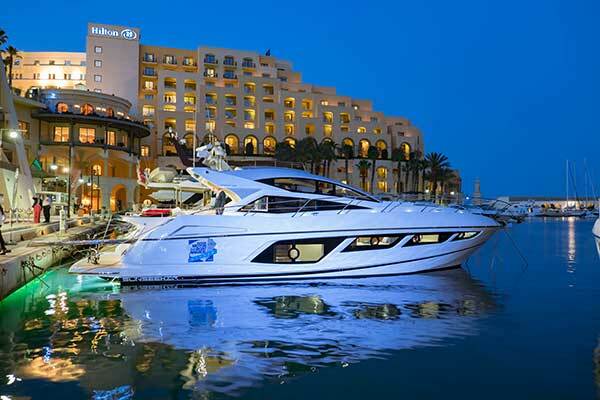 Video of the Sunseeker Predator 57 which was shot in Malta and Gozo in preparation for the event. “Bulgari is about lifestyle, luxury and style. This is why we chose to collaborate with such an exclusive brand as Sunseeker. This event proved an excellent platform where guests could admire our latest Bulgari additions against the natural backdrop of lifestyle,luxury and style brought by Sunseeker in its unique and inimitable way,” said Mr. Alfred Fenech, Chairman of Sterling Group, representatives of Bulgari in Malta.